Windows Azure Media Services simplifies the creation, management, and delivery of media to almost any device including Microsoft Xbox, Windows Phone handsets and Windows PCs, as well as non-Microsoft platforms such as smart TVs, set-top boxes, MacOS, iOS, and Android. 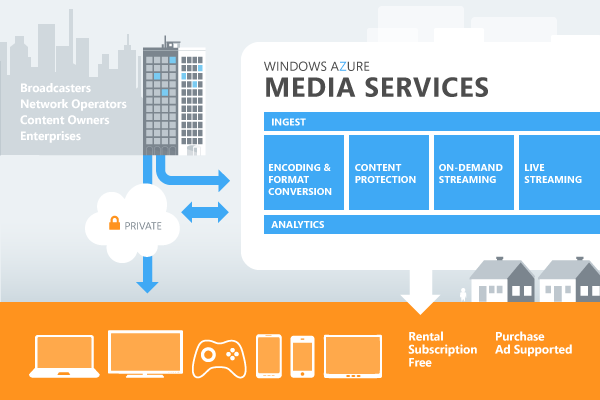 Content providers and media partners can take advantage of the cost benefits and cloud capacity found with Windows Azure, and provide customers massive amounts of digital media in the variety of formats they require, when they require it. More detail here. 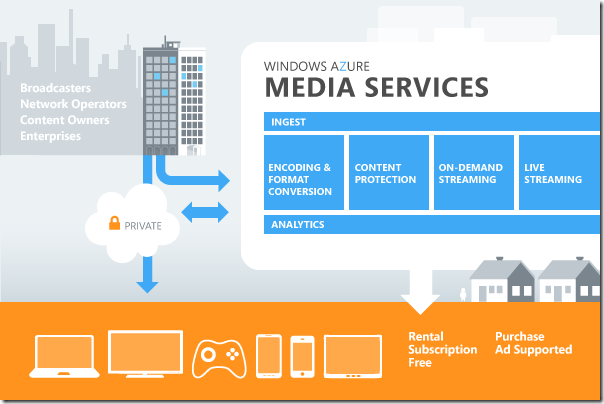 The upcoming preview of Windows Azure Media Services will be available at no cost (charges for associated Windows Azure features like Storage, Egress, and CDN may apply). To sign up for the preview, click here.